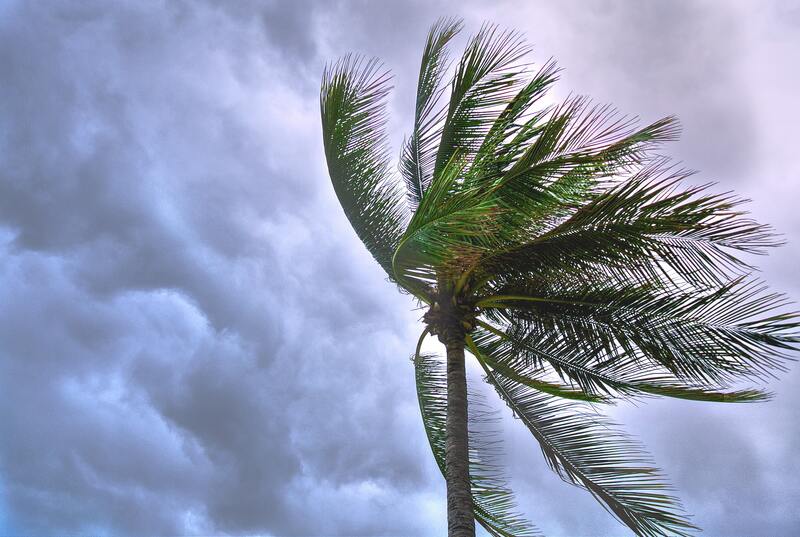 Hurricane Season is Approaching – Is your Landscape Ready? 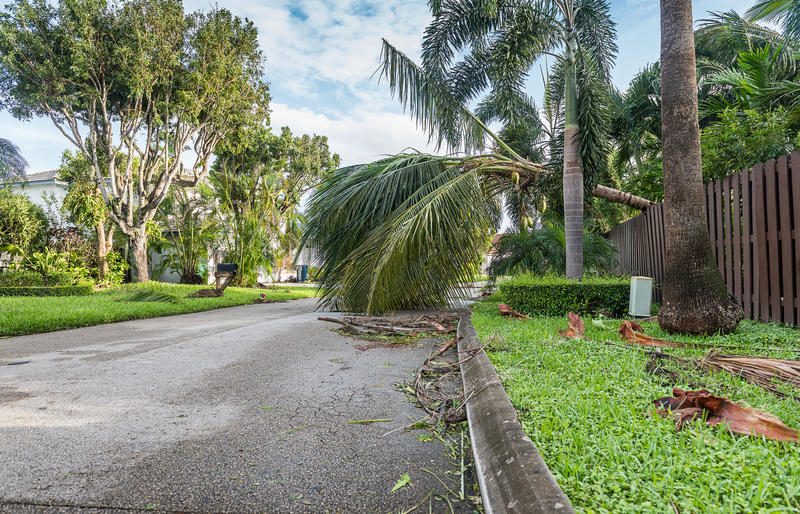 /Hurricane Season is Approaching – Is your Landscape Ready? Posted on June 18, 2018 by dev1305 wrote in General. It’s a harsh – but somewhat mundane reality that we, as Floridians, must deal with every summer, and whether we want it to happen or not, we need to be ready. It’s hurricane season, and as a landscaping company who’s been in the lawn crafting game for nearly two decades, we know first-hand how important it is to have your landscaping hurricane-ready. While it’s possible to check through and cross off things on your list on your own, we certainly suggest having a season professional (like the Landcrafters folks) come in, take a look, poke around, and make sure everything is up-to-snuff and ready to sustain any hurricane force winds, rain, and weather. As we said, we’ve been doing this sort of thing for a long time, and as we’ve grown as a company, honed our methods, and learned from trial and error, we’ve developed and established a list of a few, guaranteed things that everyone should go over before the hurricane season is underway. Lucky for you, we’ve laid them out here! Give our list a read and make sure your landscape is up-to-date on your hurricane preparedness, then, give us a call to come over, give your lawn a look-see, and give you the confident thumbs-up that your landscape is good to go for season! Stems, canopies, root problems, oh my! There’s plenty that can be wrong with your trees when it comes to hurricane season, especially where they’re planted and how big they are. Consider the trees in your yard – are they close enough to the house that they’d do significant damage if they fell? How does their structure look? Is the trunk looking sturdy? Trees are lovely, strong, and beautiful additions to your landscape, but that doesn’t always mean they’re going to be a positive during hurricane season. We suggest having your tree canopies thinned and evaluated by a professional. This way, you can remove small branches from canopies, allowing wind to pass through boughs without exerting enough force on your tree to snap branches and uproot it. Roots can be an issue with trees, as well. A tree with diseased or weak roots can easily topple over in high winds, we suggest having a professional check around the tree for its general health and soil conditions, especially mature trees that have been on the property for a long time (typically, they’re the first to subject to root rot). Avoid cutting your trees in ways that you think might be useful for the storm without consulting with specialists. This includes “lion tailing” your trees (cutting smaller branches off from larger branches, making the tree top-heavy) or “hat racking” your trees (cutting off the canopy, making it just as dangerous for the storm and killing the tree in the long run). Pruning your trees is going to be incredibly important, especially if they’re old and established. For newer trees, though, we suggest staking them before a hurricane by driving 2x4s into the group and tying down your trees. Keep the tie does loose enough for the tree to move in the wind, but not so loose that the ropes can whip out and become hazardous during the storm. Gravel is a wonderful landscaping tool that can often help boost the appearance and functionality of your landscape design, but that doesn’t always mean it’s going to be a positive choice during hurricane season. If you have trails, walkways, or other landscaping features that you use gravel in, swap it out for soft mulch. This way, you keep the integrity of your landscaping features without running the risk of gravel becoming a dangerous projectile during a scary storm. Drainage is going to be an incredibly big issue during hurricane season. If you’ve never endured a hurricane (or incredibly rainy storm) before, then you’re probably not entirely aware of how quickly your yard can flood if your drainage area and gutter systems aren’t ready for action. If any of these are clogged, damaged, or broken before hurricane season, it’s likely that storm waters won’t be slowed, and it will potentially cause additional flooding. If a storm drain is full of debris before the storm, you can guarantee that it’s going to cause much worse flooding as it will block water flow from draining properly. With standing water in your area, you’re at even more of a risk, as this can loosen root systems and cause property damage and plant damage after the storm is over. Now is the time to turn off your irrigation systems, too. While this is more of a right-before-the-storm tip, we suggest getting your irrigation system checked out by a professional before you shut it off to ensure that everything is functioning before the storm. If you end up leaving your irrigation system on and a tree or large plant comes down and breaks the line, you could add flooding to your list of issues. If you have any type of fruiting tree (we’re looking at your coconuts, palm trees), make sure you’re removing the fruit before the hurricane season. For Florida, this certainly relates to palm trees, especially. 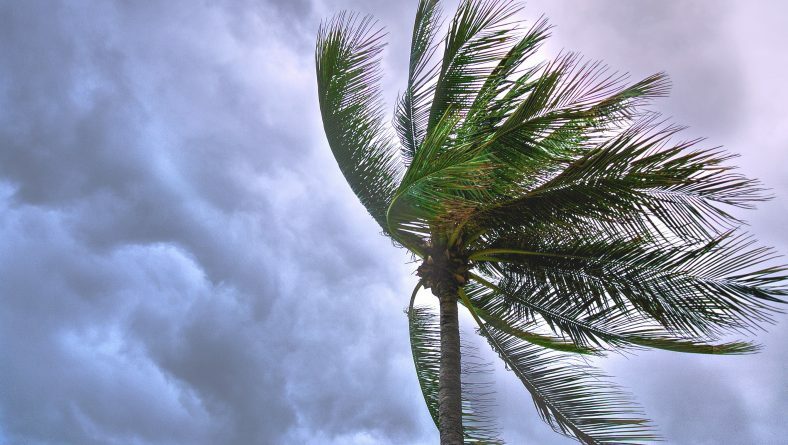 Make sure you remove the coconuts, the large palm seeds, and dead branches before the storm hits, that way, if you get a fair amount of wind and inclement weather, you won’t have to deal with the danger of these flying through a window or falling on your car. Removing these off the tree will not cause any damage to the tree, but please take note, you likely do not need to prune your palms before hurricanes. Removing healthy palm fronds is detrimental for the tree, and unless it’s not a self-pruning palm, you’ll need to leave it be. We suggest working with a professional to best determine how to protect your palms. If you have a vegetable garden or other types of fruiting plants, we recommend picking them before the storm, especially if they’re nearly ripe. If you don’t you’ll likely lose the fruits or vegetables, and worse, they could become a hazard during the storm. Did you enjoy our take on hurricane preparedness? We hope so, but more than that, we hope you take it into account! Want to talk to us personally about how we can help you prepare for hurricane season? We’d love to chat. Give us a call at (727)-201-3947 to discuss what we can do to ensure you’re ready for the most wonderful time of the year. Want more information and advice from us? Check out our blog for weekly updates, tips and tricks, and other useful info for your landscaping!